Author: Pye Brook Company, Inc. 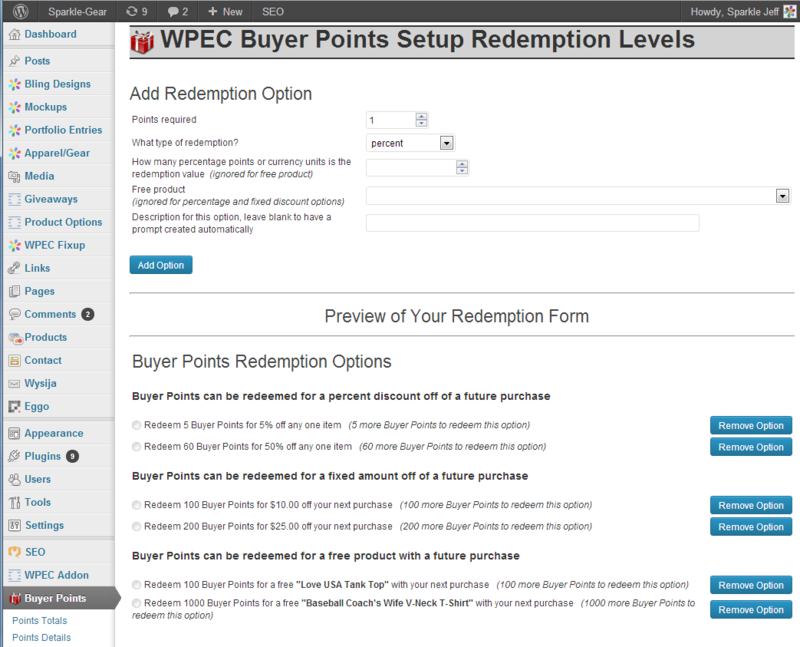 The buyer points plugin gives your customers an incentive to come back and buy more. 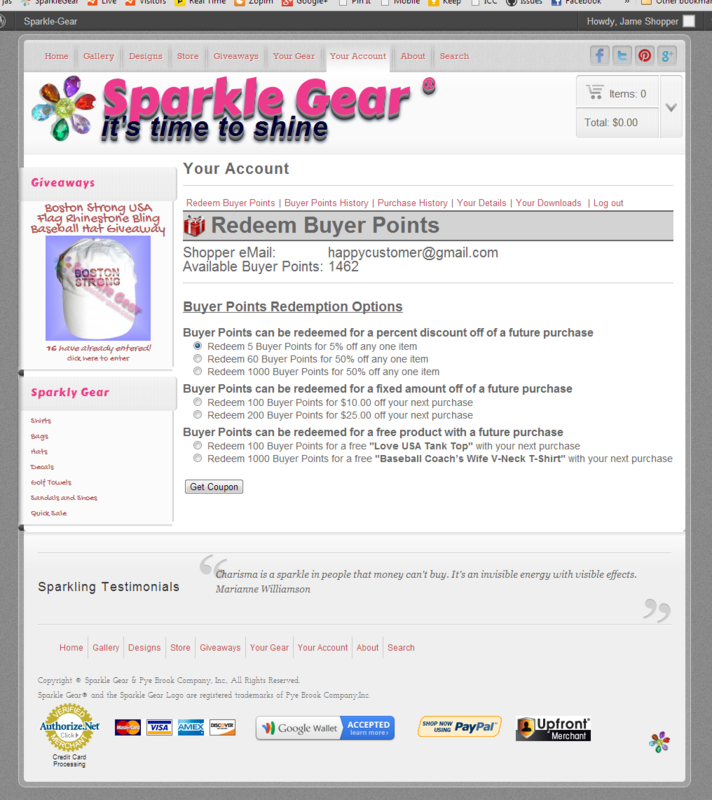 Shoppers can view the points they have earned at any time on their account pages. 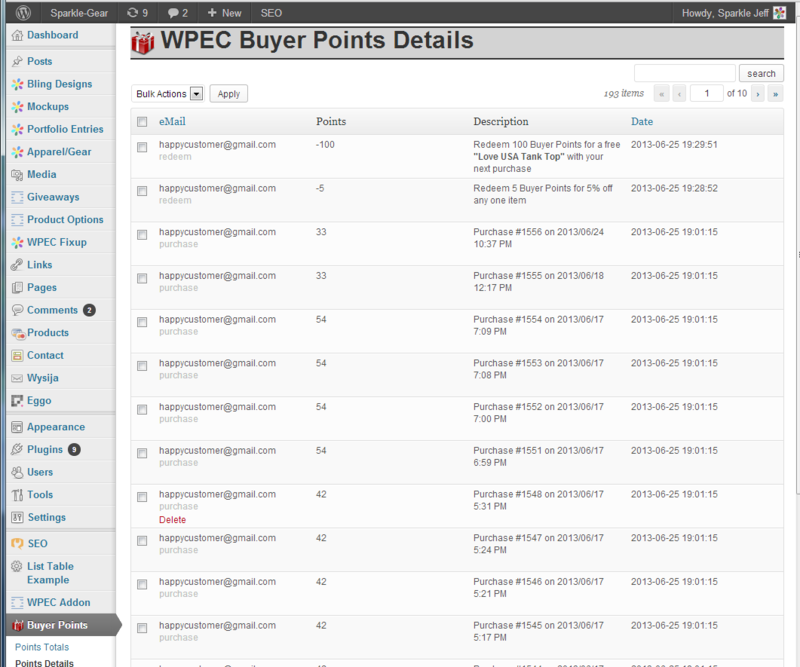 The buyer points plugin will accumulate points for shoppers regardless of if they are registered! 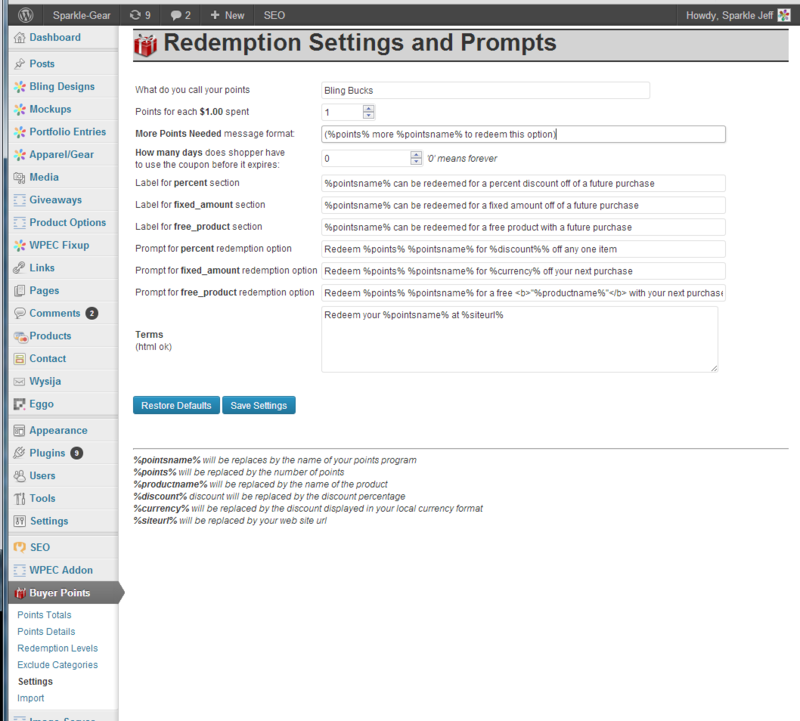 This means that your store doesn’t need to put up any barriers to people completing their purchases, like registration. 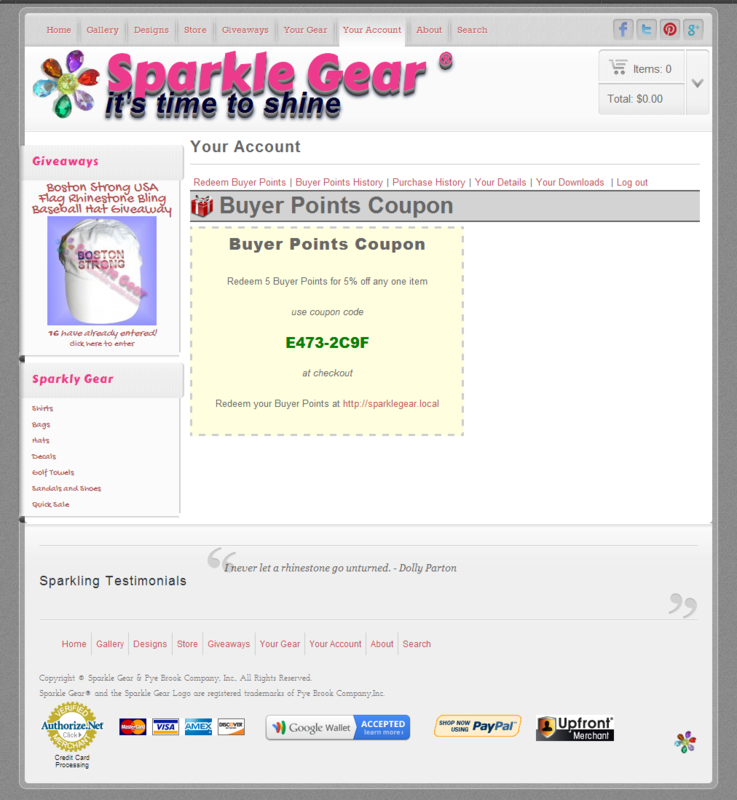 Points are accumulated for each purchase and attached to the buyers email address. 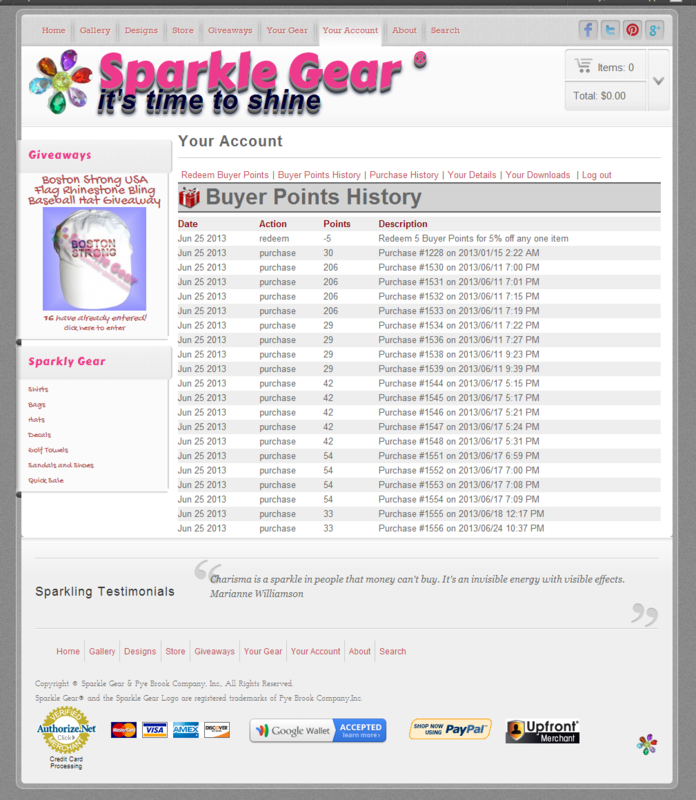 As soon as they register, earned points appear in the customers account record. 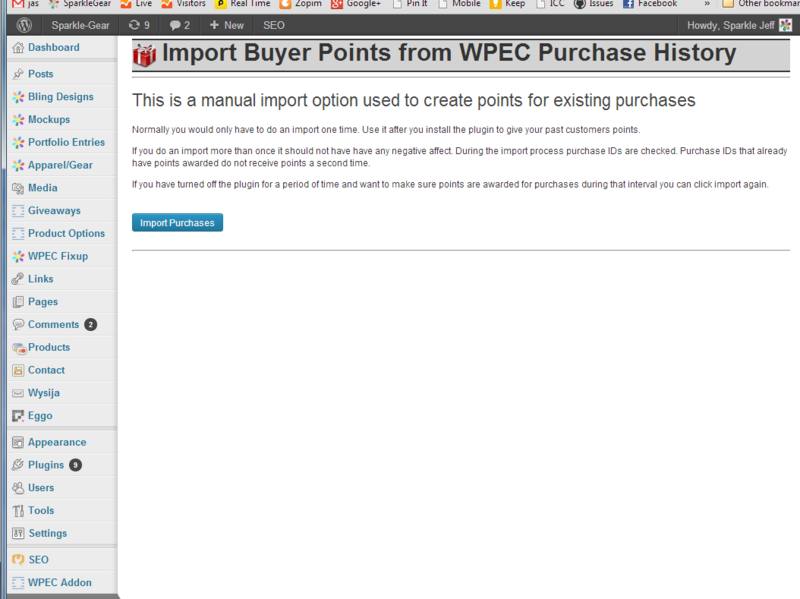 WP-eCommerce is one of our favorite commerce platforms. It offers a flexible infrastructure that let’s you manage product variations that may have attributes more complicated than just size and color. 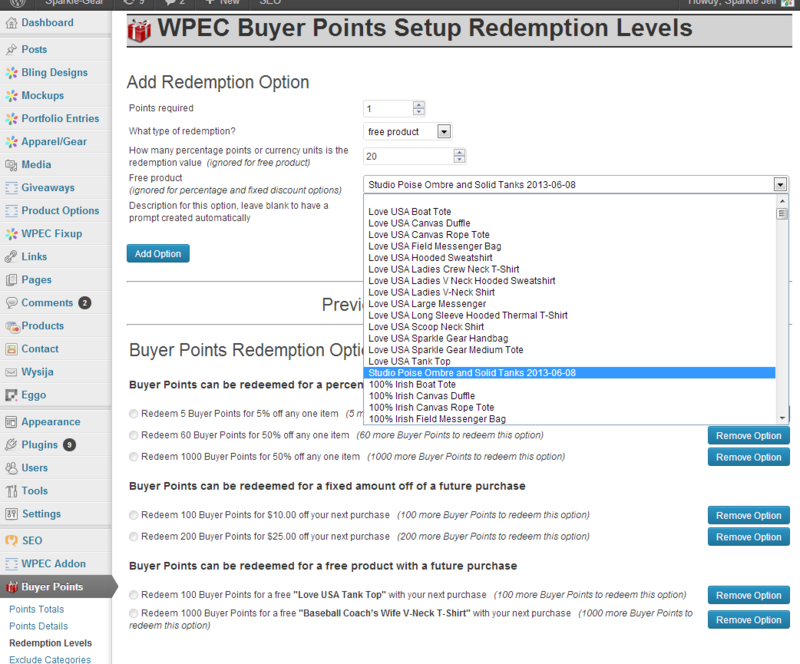 If most of the time all you need for your store is product size and color the WPEC variation structure, and the user interface needed to manage it, can become very complicated to oversee. The large number of product variations can also slow down your store, and may even require a more expensive server than would otherwise be necessary. 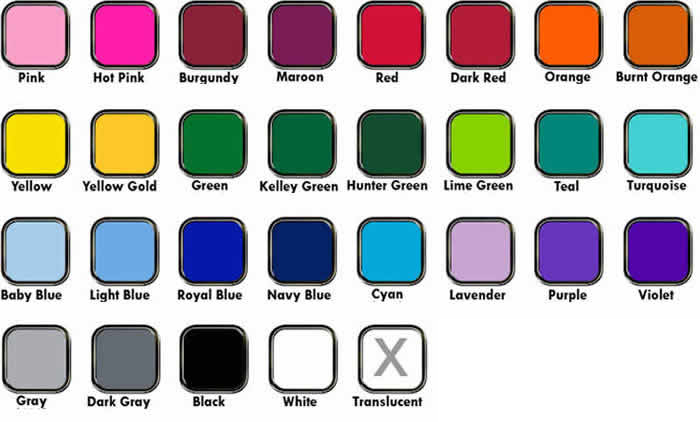 Our sizes and Colors add-in addresses these specific needs and greatly improves the product management interface used to update inventory and adjust prices. 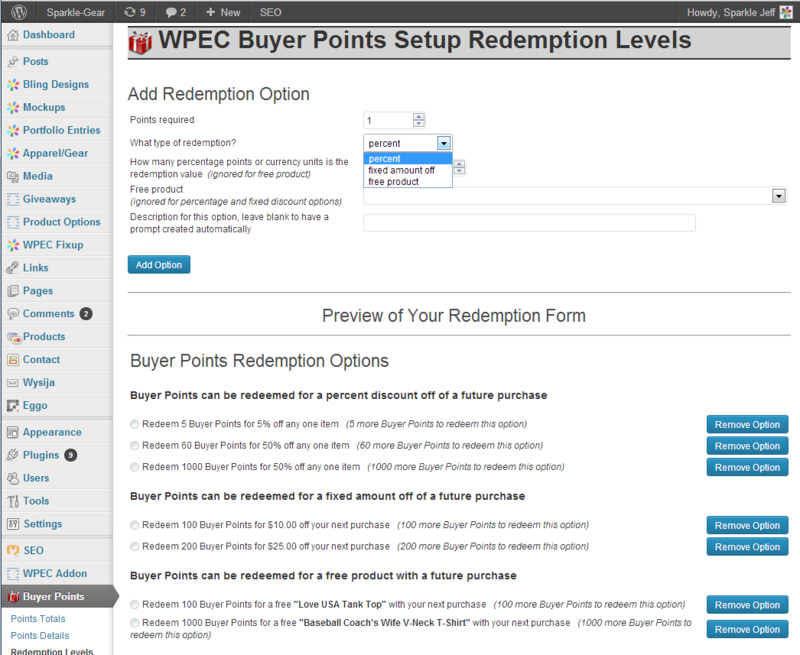 If you use Pye Brook Company to build your ecommerce presence you will get the benefit this add-in as part of your implementation. If your are building an ecommerce site, for yourself for someone else, contact us to discuss licensing the add-in.